Last week we welcomed some very special guests to Botley Hill Farmhouse, as the family of WWII pilot Harry Snow Newton visited the site where he plummeted to earth from his flaming Hurricane during the Battle of Britain. Harry bailed out over Botley Hill when not only his plane but his hands and face caught fire on 18th August 1940, known as 'the hardest day' of the famous air battle. 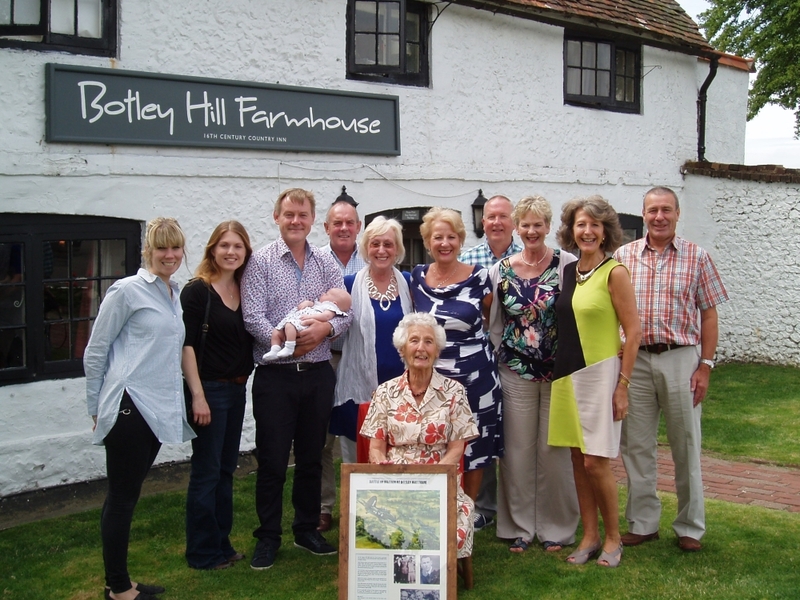 Manager/part-owner of Botley Hill Farmhouse Nicole met family members including Harry's 94-year-old sister Joan, daughters Andi and Pamela and grandson Adam, who all enjoyed lunch at the Farmhouse. The family brought with them a commemorative artwork featuring Harry's story and a print depicting the battle that brought down his plane, which will be hung in the Farmhouse for all to see. Harry was just 20 years old when he completed his training in May 1940, and on 11th August 1940 he crash-landed in Suffolk having run out of fuel in combat over Kent. A week later, his squadron was defending Kenley Airfield from a low-level attack when Harry spotted a Dornier 17 with an engine out. He failed to hit the target as he gunned for the plane, but found himself on the receiving end as return fire from the German bomber set his Hurricane alight. With flames entering the cockpit and Harry himself catching fire, his only option was to jump from his plane, towards a waiting group of 15 soldiers. The German pilot was also lucky to survive the day, as he ditched in the English Channel trying to fly his ailing Dornier back to France and almost drowned trying to escape the cockpit. However, in 1978 Harry was given the opportunity to meet his former foe, Guenther Unger, at a memorial ceremony at Kenley Airfield, after which the two men and their wives became lifelong friends. Harry even learned German so that he and his wife Rona could visit the Ungers in Germany. Following the war Harry remained with the RAF, moving up the ranks to become a squadron leader, and lived all over the world, including in Singapore, Egypt, Hong Kong and the Isle of Man, where he met his wife. Although it's unlikely that Harry ever returned to Botley Hill Farmhouse, his family are sure he would have liked it here. His grandson Adam said: "I think Grandad would have loved to have visited Botley Hill Farmhouse and enjoyed the beautiful views from the garden. I don't suppose he took in much of it when he was parachuting to earth in flames! It's been great to share his story and now we've hung the picture and information, future visitors to Botley Hill Farmhouse have a chance to learn about the part he played in the Battle of Britain." "Although Harry is no longer with us, it was a real delight to meet his family and hear his adventures from them," added Nicole. 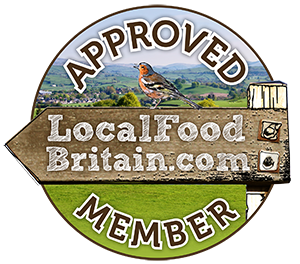 "We so enjoy learning more about the history of the Farmhouse and the surrounding area, and making this personal connection is truly wonderful."